I'm really not sure if March is officially Podcast Awareness Month but all the podcasts I listen to have been asking listeners to use the hashtag #TryPod and to try to get at least one person they know to listen to a podcast and perhaps get indoctrinated into the craze. I figured my way of doing this was to write a blog post about it. First off, there are podcasts about everything so even if you are the type of person who thinks that podcasts are just the new version of talk radio, think again. There are podcasts that showcase new music of all genres, ones that are exciting stories like your favorite book, and ones that discuss every topic under the sun from politics to video games to the latest trends in computer coding. There really is something for everyone. But to make your podcast listening experience the best it can be, you need to have a good podcast app to manage and listen to them on. I am an Android guy myself so I do not know as much about iOS but I know there are a ton of apps that can help you out. The ones I here the most about are Pocket Cast, the integrated podcast functionality in iTunes, and Stitcher. Most articles recommend Overcast as well. One the Android side, I have always used Podcast Addict and have never had any problems with it. 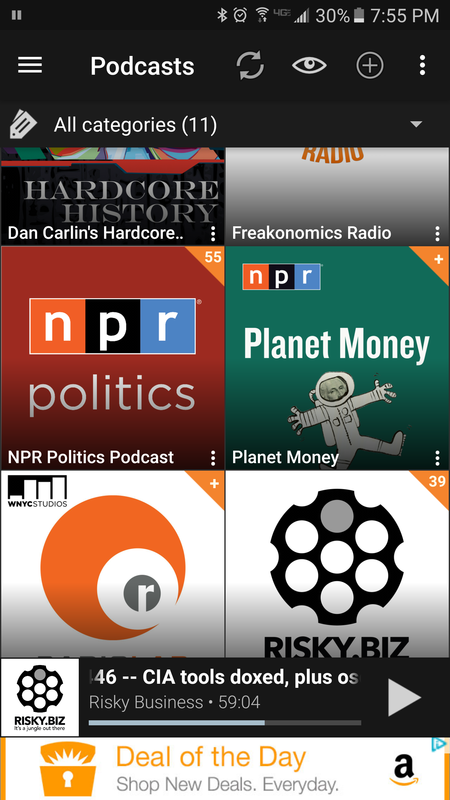 I have also heard good things about Pocket Casts. Apparently you can also listen to podcasts on Spotify and Google Play. There are tons of articles that can get you started in the right direction. Regardless of your OS preferences, it is imperative that you get a good app. There is a reason that they are called podcast managers; you need something to sort through on these podcasts and ensure that you always have the ones you want ready to go on your phone. I have my phone set up to download new episodes each morning at 5 AM. This was they are downloaded right when I wake up and ready to go before I get in the car and head to work. I also have mine set up to automatically delete episodes after I have finished listening to them so that the storage on my phone does not get eaten up by a bunch of old podcasts. Podcast Addict also allows you to set a priority on your podcasts so that they can get added to your playlist in an order that you choose. For example, I have one daily podcast that I always want to listen to first thing, so it gets the highest priority and is always played first. The app also makes it super easy to download older episodes too. When I know I am going to be on the road for a long time or am travelling, I always grab a few of the backdated episodes to take with me. This is especially useful as your start listening to podcasts and do not have as many different ones that you want to listen to. If you are really crunched for time, some of the apps also support acceleration so that you can listen to your podcast faster. Using Bluetooth in the car (and Android Auto, which is AWESOME!) allows me to listen to almost all of my podcasts on my drive to and from work each day. Not in any particular order...ok well they are alphabetical. Sorry there are a bunch of them. I have no idea why Dan does this podcast free of charge but it is amazing that he does. Dan does these epic historical series on specific historical periods. He has covered the Kings of the biblical era, the Nuclear Age, and Genghis Khan and the Khan conquests of Mongolia. 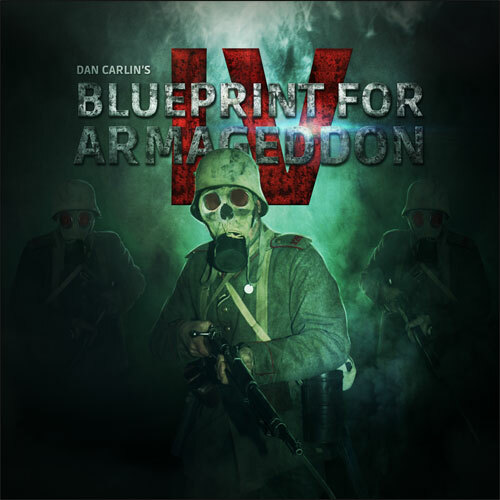 My absolute favorite series though was his "Blueprint for Armageddon", which was a 6 episode marathon about the first World War. His level of detail and explanation of even simple concepts was amazing and gives the listening a rare glimpse into what living in that period must have been like. The episodes are usually pretty long (as in many hours) but you will not learn more about history anywhere else! The episodes are not too frequent so you have time to listen to them in between releases. If you like what he has to offer, maybe donate a few bucks to the cause because he does not do any advertising during the shows. This one has a special place in my heart as it was my first podcast 😢. Steven Dubner, one of the authors of the Freakonomics books hosts this podcast. After reading and loving the books and hearing about the podcast, I knew this would be one that I would like. Their tag line "Exploring the hidden side of everything" is 100% true. They take simple topics and break them down and look at them from every conceivable angle. These episodes are usually between 30 minutes and an hour are are released weekly. The ones that have been most interesting to me lately have been an episode about why CGI artists for movies have to move all over the place just to get underpaid and work for firms that are continually on the brink of bankruptcy and a 3 part series about the problems/intricacies with our healthcare and pharmaceutical industry. The series about medicine was extremely interesting as it jived with everything I hear from my wife who is a nurse and lives that stuff every day. This one is my current favorite, especially considering the political climate of the past year or so. The crew at NPR always do a great job of breaking the facts down and giving the context necessary to understand why our politicians do what they do. 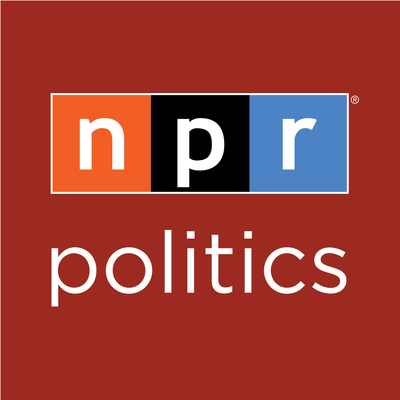 Anyone who is not a liberal would probably say they NPR has a bias towards to left but I have to say that they do an amazing job of keeping the podcast fairly unbiased. They seem to always give both sides a fair amount of coverage. In any case, they always provide both facts and commentary so that you can decide for yourself what the news means. I have not felt as politically involved at any point in my life as I have since I started listening to this podcast. The team always releases a Weekly Roundup that is the mainstay of the podcast and covers the week's news. They also routinely release highlight episodes as major news breaks. I have to say I understand much more of what goes on in our government than I ever thought I would know. Thanks to my brother Cody for the recommendation. 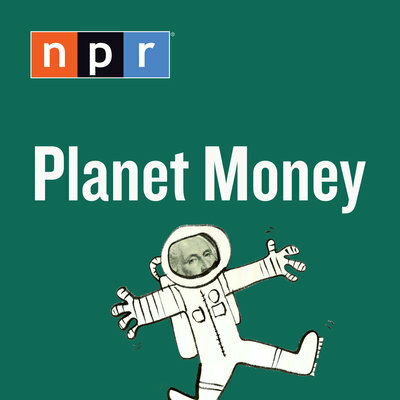 Planet Moneyis another good one from NPR. You would think by the title that this is a personal finance show but it is more in the thread of Freakonomics. They follow the money around any given story and come up with some pretty interesting insights. They cover tax law and other financial legislation and how different events have shaped our use of money and the policies that govern it. I have learned about taxes that are hold-overs from WWII, details around the Wells Fargo scandal from last year, and the booming honey bee industry that specializes in nationwide bee delivery. By far my favorite story though as been their series where they actually bought their own crude oil and followed it's journey all the way to a gas pump. Definitely worth a listen. RadioLab is a new podcast I just started listening to within the last few months. They are produced by the same studio that produces Freakonomics, WNYC Studios. The jury is still out on these guys. They do more of a reporting/journalistic style of podcast. They do not have a real theme as far as I can tell other than to tell interesting stories and to relay the finer details of those stories. Their latest episode about CRISPR gene editing (a re-broadcast with updates) was extremely interesting. I also enjoyed their explanation of the Bernie Madoff ponzi scandal. The interview experts, provide analysis, and make the story fun to listen to. I am going to need a few more episodes to determine if I really like this one but my guess is that I will. They release episodes every other week. If you are not an IT or InfoSec person then you might as well stop here on this one unless you just happen to love Kiwi accents. This show, hosted by Patrick Gray and is probably the best way for me to get the latest in InfoSec news. Every weekly show starts with a roundup of the week's cyber news with colorful commentary, has a feature interview with some industry expert, and finishes with a sponsor interview. The sponsor interview is usually some sort of product pitch but is tastefully done and still provides useful information and education about the industry. The latest addition to the show is a final section which fantastical funny stories from the industry, perhaps slightly embellished at times. This podcast has allowed me to sound really smart in a few meetings because of stuff I heard here. The daily StormCast from Johannes Ulrich and the Internet Storm Center is my daily staple and always my first listen of the day. These daily, 5-10 minute podcasts relay daily InfoSec news such as new exploits seen in the wild, new vulnerabilities that could be exploited, and major system outages. Johannes also covers new tools and relays information about diaries posted to the ISC homepage that usually demonstrate how to use some tool or how to perform a certain type of analysis. Everything from defensive security to forensics to offensive security are fair game here. Similar to Risky.biz, some of the stuff I have heard here have made me sound like an expert on more than one occasion. Although technically a podcast, Serial does not seem to have a consistent release schedule and when they do release things, they do so as series. I specifically listened to their 11-episode series that investigated the Bowe Bergdahl saga. Their ability to truly cover the facts and objectively look at both sides was amazing. Their reporting is also top notch utilizing a wide swath of primary sources as well as expert analysis. The story kept my attention the whole time and made me want more. Download this series for a long car trip or airplane ride. Right now, there is no indication when season 3 will be produced. 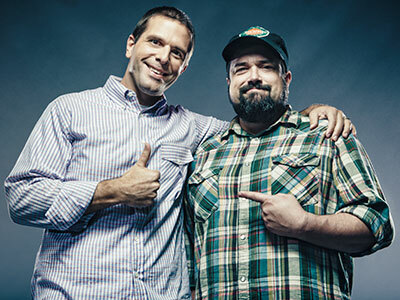 Josh and Chuck can somehow turn the most mundane topics into a comedy skit and the most controversial topics into something anyone can enjoy. They pick random topics and break them down in layman's terms. I have learned a tremendous amount from this podcast and they release episodes like crazy, sometimes twice a week. They do tend to get way off topic so if you are looking for just the facts this may not be the place to go. They readily admit that side-tracking is one of their specialties. That being said, their back and forth banter is part of why I like the show so much. They cover historical topics, pop culture, financial topics, medical and bodily stuff, and anything else that seems worth learning. They once did an episode dedicated solely to poop (way more interesting than you would think and I am not afraid to admit that I listened to it). They also have a HUGE history of episodes. They are on track to hit 1000 episodes this May so if you have time to listen, you can have them with you for a while. Most folks have heard of TED talks so I won't take too much time to explain what they are. The podcast is literally just a recording of the talks. What is nice though is that the talks are not released all at once so having them as a podcast gives me a steady stream of talks to listen too. I have to admit, some of the talks rub me the wrong way when the presenter is either wrong, does not represent all the facts, or simply ignores opposing arguments. That being said, the majority of talks are great, educational, and often inspiring. I especially enjoy the broad range of topics from space and science to medicine to philanthropic topics. If you have strong political or religious viewpoints these talks are a great way to understand how people outside of your sphere think and see the world. If you are easily offended by opposing viewpoints perhaps don't listen, but you won't be doing yourself any favors. Another fairly new addition to my lineup, I just started listening to Mike a few weeks ago. A long time fan of Mike and his work I figured I would give this one a try after Briana mentioned it to me and I saw it on Mike's Facebook a few times. The basic premise is the Mike tells a story while generally leaving our one or two minor major details. The stories are usually amazing, heroic, or interesting. Then at the end, Mike reveals the hidden details and we find out the story was about some famous celebrity, politician, scientist, etc. It is really awesome to listen to the story without any preconceived notions about the person in question. At the end you see that person in a whole new light and have a much greater appreciation of the person, who they are, and what they have gone through. These are a weekly short listen (usually about 10-15 minutes) and are fun. If you are looking for a short podcast to get start, this one is really good. Well those are my picks, let me know what ones you like and I will give them a try!